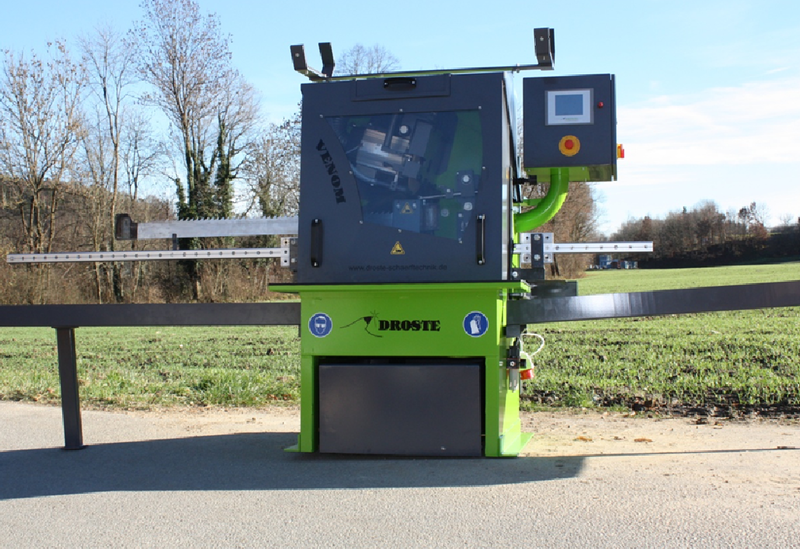 Company Droste has 17 year experience in production of sharpening machines for band and gang saw blades. They made 700 pieces yet and exported to whole world. 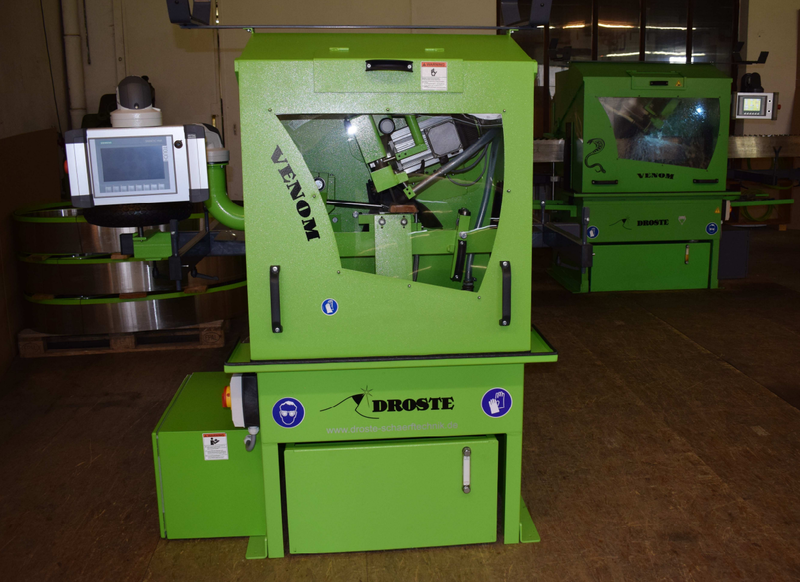 Droste machines are used by lot of customers in Germany, Austria, Italy, France, Belgium, Holland. Next in Russia, Turkey, Ukraine and Balkans. From exotic destination for example South Africa, Ghana, Mozambik, Ethiopia and Brasil. Droste´s advantage is, that they have their own experience with machines and they are utilizing them in own tool production. Grinding wheel, diamond dressing wheel, 20 liters of coolant concentrate. Transportation, set up, machine assembly, 2 hours personnel training included. Able to grind whatever profile except variable tooth pitch.